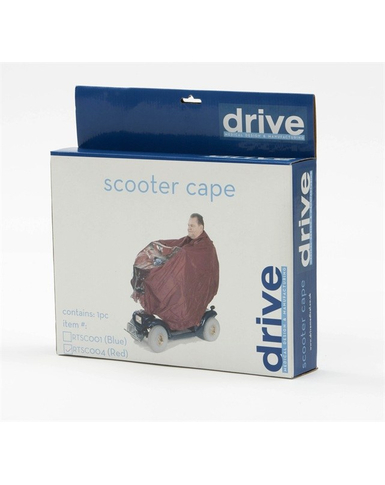 Maroon Scooter Cape, ideal to help keep you and your shopping dry and fit all types of scooters. 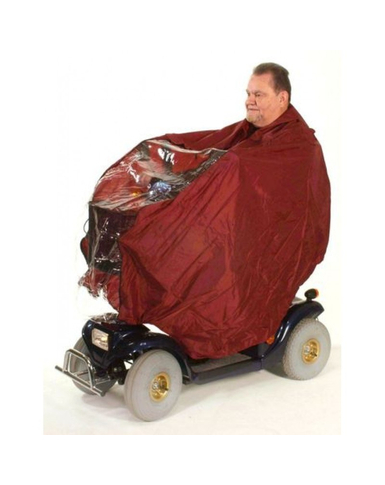 Fully showerproof, easy to use with neckline zip, draught free with elasticated hem, snug fitting hood and clear panel at the front for maximum visibility. The ultimate in scooter protection.